Linksys secure-signs the firmware for this router, hence it is not possible to install using Factory UI. From CFE prompt execute following. Where 192.168.1.10 is where your tftp server is running. NOTE: This router has two copies of firmware. The router switches between one or the other after three consecutive partial boots. 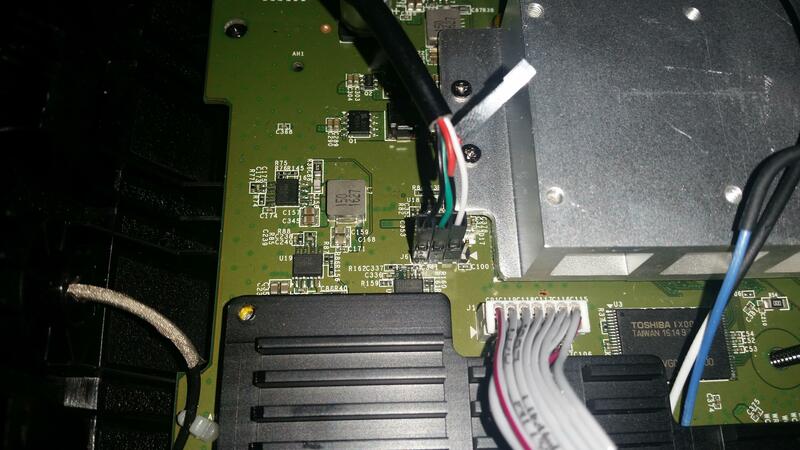 You can force a partial boot by turning off router 10 seconds after booting. Once you have installed Lede on one partition, leave the second partition on Factory firmware. this way you can dual boot into Lede or Factory. 2018-02-19 Kernel v4.14.20, USB3 working, EU region code added. Clean install recommended. 2017-03-07	Added wireless region code fix. Added samba and adblock packages. Do you have any suggestion how to upload the firmware via TFTP? Been trying for two days now and still no luck. What is the perfect timing for pressing upload button? Unplug the router and adapter and keep it for 15 mins. And plug your wire into port 8. Make sure to use Linux and set static ip/mask/gateway = 192.168.1.2/24/192.168.1.1 in network config file. Use ifconfig eno1 up/down to enable disable ethernet port. Disable any network manager that may interfere with this steup. I use tftp one line command from the openwrt link above. Make sure the trx path you provide exsist. Also, the right time to hit enter is after you see all the lights flash. As a test, make sure you can ping 192.168.1.1 after lights flash. I tried it myself but can't get thru myself now - it worked earlier. Will try to do this over the weekend. Loader:raw, invalid tftp target filename (:)! You can see CFE is crippled by removing the tftp and eth0 params. I may have uploaded using serial port and not the tftp client. And mixed up later when I was making a note about it. Thank you m8 for the clarifications! Can you please link me what serial cable do i need to buy that i can upload the software. If you are not from US, make sure to send me nvram dump, so I can make adjustments for region code etc. Have been using this snapshot for a few weeks, works great! Only thing I've noticed is with this particular router, it is a tri-band device. I've named both 5GHz's to the same SSID, but it appears the wireless device will only connect to one radio. For now, I'm just going to set up another SSID and manually connect devices to the appropriate radios. This is called 'band steering'. Technically latest hostapd should support this. It may need some configuration. You should be able to find more info on LEDE or OpenWrt forums. I'll try to find specific settings needed myself. Also, I just read some instruction about flashing the 8500 with LEDE. Some of the instruction states that I need to ensure both copy of the firmware to be compatible with LEDE. Did you find anything fishy about the 9500 on this matter? Which version of the stocked firmware should I use before uploading the LEDE payload. There are four screws at the bottom. Three in the corner below the rubber feet and one in the center below the label. Then you need to undo the clips (lack of better word) under the case using a flat screw driver. Start at a corner. Make sure to use an old credit card to keep the undone clips apart. Two copies of the firmware don't need to be same. No side effects observed. Thanks for the help. The build is up and running. Very solid build. I did a little research around the topic, and found that kernel 4.9 seems to be really new (Or, the ipset package is really old). Thus, I wonder if there is a chance to build the firmware with kernel 4.4? I saw that I downloaded the version with 4.9 kernel. So I am trying to install the release that is slightly older. Is there any other difference between the release with 4.9 kernel and the one that is earlier? I just realize that it is not an older kernel that I am looking for, but the newer 4.9.30... Is there a way to get a build with 4.9.30? The trick to get all kernel mod packages working is by using release sources instead of trunk. Other option is that I can post the latest source changes and you can build yourself. I don't quite understand the reference to "release source". Do you mean I pull from LEDE's repo and build it? I found this instruction about using opkg which recommand "If you are using a snapshot / trunk / bleeding edge version, it's warmly recommended to use the Image Builder to make a flashable image containing all packages you need." Does that mean that I should create an image with my desired packages? Yes once I post the source, you should be able to build yourself. Edit: I'm building new image of tag v17.01.1 so you should have no problem installing packages from LEDE directly. Great! Looking forward for it. Ok it seems that all the releases are based on kernel 4.4 It doesn't make sense to move back to older kernel. So the best option is to build it from patch. I've attached patch to first post of this thread. I will try to create a build for you once a new release is cut. Thanks!! I will read the patch file tonight. To build the new firmware, should I apply the patch to the latest clone from GitHub? Then copy it back once you upgrade. What target system and target profile do I need for building?